Focus isn’t normally synonymous with adolescence, but Jonah and Grayson Riddle have a laser focus on music. Jonah, 17, is a banjo picker and lead member of Jonah Riddle & Carolina Express. Grayson, 12, plays guitar and is the vocalist—at least on the numbers that aren’t instrumentals. The brothers typically play music for two to three hours per day. If you haven’t heard of them yet, chances are you will soon. Carolina Express plays regularly on the festival circuit and in towns such as Marshall and Old Fort. They played Asheville’s Shindig on the Green in 2015 and even appear on the Shindig mural on the side of Pack’s Tavern. From Ryman Auditorium’s Courtyard in Nashville to the State Fair in Raleigh, the Riddles are no strangers to playing large crowds. These burgeoning bluegrass stars live in Burnsville on family land. They’re homeschooled and the product of a devout religious upbringing—one of the reasons good ol’ gospel music is close to their hearts. 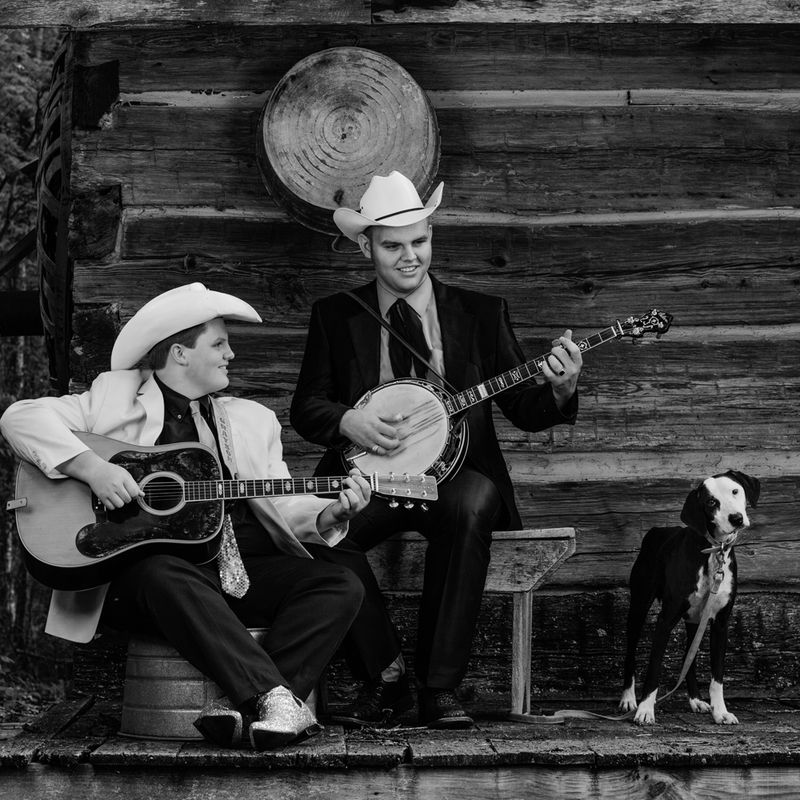 Inspired by the likes of Flat & Scruggs, Bill Monroe, Ralph Stanley, and other giants, the Riddles were first introduced to bluegrass by their grandfather, Butch Ball, who plays dobro and guitar and used to take the boys around locally to hear gospel and bluegrass bands. Their dad, Benjie Riddle, plays stand-up bass for Carolina Express. While many young people waste away hours on YouTube watching the most current pop videos, the Riddle brothers search the Internet for archival footage of their bluegrass heroes. According to Jonah, the Martha White TV series featuring Flatt & Scruggs is essential viewing. The Riddles are working on their first full-length album, which they plan to release in July. Expect a set of recordings that hew to the brothers’ dedication to tradition: When asked what other music they listen to, other than old-time, bluegrass, or gospel, the boys are at a loss. Finally, Grayson says, “Well, I like Elvis,” and with a little more thought, he also cites the Everly Brothers—certainly a sibling duo that the Riddles can strive to emulate. To see where Jonah Riddle & Carolina Express is playing next or to purchase their latest album, Traditions, visit www.thecarolinaexpress.com.